PrideStaff is a prominent staffing company that promises to deliver exceptional service to both clients and associates through strong leadership at the local and national level. Established in 1978 by George Rogers, the company continues to deliver innovative solutions to challenges employers encounter every day. Its operations focus on establishing healthy relationships between potential employers and prospective employees. The firm currently operates at more than 60 locations in the United States and employs over 10,000 field associates. It has been recognized by Forbes and FORTUNE as one of the best staffing firms. Employee benefits typically include life insurance, medical coverage, paid time-off, prescription drug plans, tuition reimbursement, childcare assistance, and 401(k) retirement plans. However, benefits package usually applies to full-time employees only. The staffing firm believes in the importance of teamwork and always aims for growth and success. Smart, professional, and goal-oriented individuals influence each other to grow, evolve, and achieve their goals. How old do you have to be to work at PrideStaff? The minimum age requirement to work at PrideStaff is 18 years old. Most positions require applicants to have a bachelor’s degree and excellent clerical skills, with a growth mindset and can-do attitude. Most jobs at PrideStaff require proficiency in Microsoft programs and skills in various administrative functions. Most common positions include data entry clerk, administrative assistant, office associate, and client services assistant. Roles in the upper management often require higher degree of education and a good deal of experience in their respective fields. Data Entry Clerk: A Data Entry Clerk enters data into database systems for effective record-keeping. Daily duties include organizing data files, analyzing data for any error, reporting problems with data, entering all pertinent information into the computer programs, and keeping sensitive company or customer information confidential. Administrative Assistant: An Administrative Assistant schedules appointments, answers customer queries, composes memos, researches and creates presentations, handles multiple projects, and prepares and monitors expense reports and invoices, among other administrative functions. They may also be tasked to compile and develop the annual budget. Client Services Assistant: A Client Services Assistant processes purchases orders and requisitions of non-inventory items, equipment, and services. They assist with the documentation process for sourcing new and/or existing materials and suppliers. They also assist buyers in preparing and distributing scorecards in order to track delivery performance and create necessary reports. Recruiting Assistant: A Recruiting Assistant creates a welcoming and positive experience for applicants, associates, and guests. They screen and review resumes to find the most suitable applicants for certain positions. They also conduct interviews via phone, schedule in-person interviews, and perform background checks with hiring managers. Quality Auditor: A Quality Auditor performs audits or inspections on incoming materials using gaging and measuring tools and visual techniques to determine compliance to engineering specifications. A Quality Auditor documents and reports non-compliance to specifications through the computerized quality-documentation system. Office Associate: An Office Associate provides clerical and administrative support to the office staff for efficient operation of the business. An associate performs word processing of company records and prepares essential reports and relevant documents. They are also tasked to process and monitor all forms, records, and other documents per existing policies and procedures. Office Manager: An Office Manager supervises the staff and maintains office systems to support company operations. This manager plans and implements office systems, equipment procurement, and layouts, in order to run the office efficiently. It is also his responsibility to recruit, select, orient, and train employees to maintain office staff. Information Officer: An Information Officer manages and maintains databases, web resources, and information catalogue. They employ their expertise and knowledge in the field to ensure that company information is safe, secure, and accessible only to authorized persons. They also conduct information audits periodically to ensure accessibility, quality, and security of information. Training and Development Officer: A Training and Development Officer plans, organizes, and oversees appropriate training to meet the development needs of the staff. They conduct job evaluation surveys, implement, advise on and monitor appraisal schemes, design and assess training programs, and ensure employees receive effective training to gain required skills and knowledge. Franchise Development Manager: A Franchise Development Manager supervises the entire sales process—from the initial solicitation to contract completion. This manager identifies and sources prospective new franchisees and adheres to established sales procedures. A Franchise Development Manager must be an effective ambassador of the company’s brand. 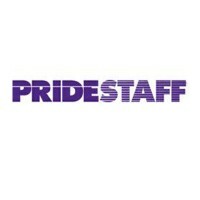 PrideStaff updates their job listings regularly—both for their own workforce and their clients’. Applicants seeking a position in the company should check these listings as often as possible to see which positions remain available. Job seekers can either go to hiring locations to submit their application or visit the company’s career site to upload their resume and fill out an online job form. When filling out the form, applicants must ensure accuracy of provided information. Once the form is accomplished and the applicant’s resume is uploaded, the staffing consultant will review the application and present the best suited position for each candidate. The resume is a major determining factor for employment. Job hopefuls should tailor their resumes to the industry they’re applying in and detail their employment history, skills and abilities that will attest to their suitability for the position. Prior to job interviews, applicants should research on the company they are applying in to gain preference from hiring managers. Being able to pass background checks and drug screening is also crucial for most direct hire, contract, and temp-to-hire jobs. PrideStaff cultivates a positive and collaborative work culture that creates an environment where people work together to fulfill the company’s mission while staying true to its core values: Integrity, Trust, Reliable, Respect, Innovative, and Pride. As proof of their excellence, the firm has received the Best of Staffing award from Inavero, a leading loyalty research firm. This award is given only to less than 1% of the staffing firms in the whole of North America. Known for their superior recruitment services and strong capacity to build sound relationships with clients, PrideStaff continues to receive praises from both employers and temp job workers in various industries. The company has a vast online presence which allows them to connect with more job seekers. They have accounts on Google Plus, Facebook, and Twitter which applicants can access to get regular updates on employment listings. 1 How old do you have to be to work at PrideStaff?